A backyard deck BBQ is one of my favorite ways to spend a summer afternoon. Sure, I love hot dogs and hamburgers. But I also like to change it up sometimes. That’s why I started using foods from around the world in planning a patio party. At first it was simple. Sangria from Spain. Guacamole from Mexico. Or grilled Cuban skirt steak. Now I’m even more adventurous. I’m on a Moroccan food kick. Never tried Moroccan food? I’ll give you some basics, then a few easy recipes to try. Maybe you’ll get as hooked as I am. Morocco’s on the northwest African coast, near Spain and Portugal. So those two countries have really influenced the food. Talk about multicultural. 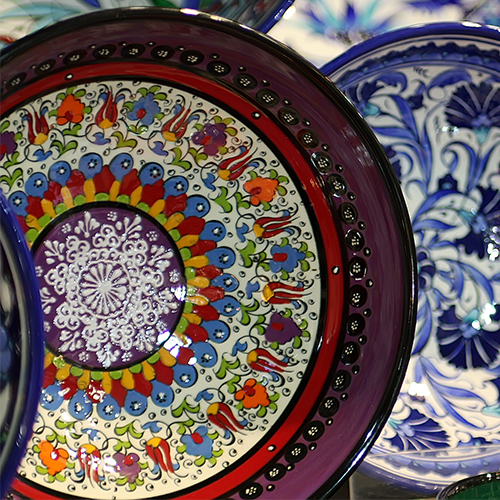 Over the centuries, cooks in the kitchens distilled the different ingredients into what we know as Moroccan food. The taste? A nice blend of sweet and savory. Spices play a key part in Moroccan food. 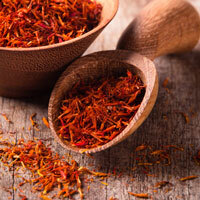 We can thank spice traders who made their way across Africa and the Middle East. The most common Moroccan spices? Saffron, cinnamon, cumin, ground ginger, paprika, pepper and sesame seeds. The most common herbs? Cilantro, parsley and coriander. If you think you’ll cook a lot of Moroccan food, it’s a good idea to stock up on the following: onions, garlic, phyllo dough, eggs, chick-peas, olives, orange flower water, honey, (preserved) lemons. A word about two common ingredients, Moroccan couscous and preserved lemons (or lemon pickle). Couscous is a staple of Moroccan food, and also the cuisines of France, Spain, Portugal, and Greece. 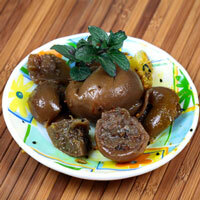 Made of steamed semolina, it can be served warm with meat or cool in desserts. Western supermarkets stock pre-steamed and dried couscous which makes it fast and easy to prepare. If you’ve been to Morocco, you know that of all the seasonings used in Moroccan cooking, the most important is preserved lemons, a technique for salting and storing lemons that gives food an unusually intense lemon flavor. 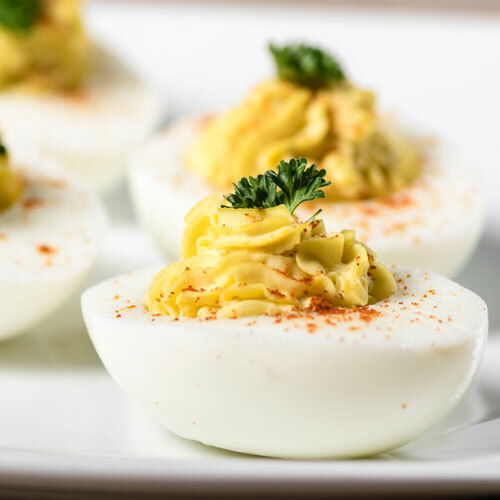 To compensate, many Western recipes call for extra lemon juice. However, if you’d like to try making preserved lemons at home, it’s not hard. Now, on to the fun part: Moroccan recipes! When I started, I began with this simple marinade, which is loaded with herbs and spices. I’ve used it with chicken, lamb and pork. It was delicious with all three, though pork isn’t served in Morocco. The people there don’t eat it. I’ve also tried the two following Moroccan recipes. 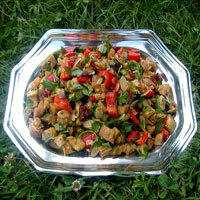 The first is Moroccan Eggplant Salad (also sometimes called Aubergine or Kahrmus). 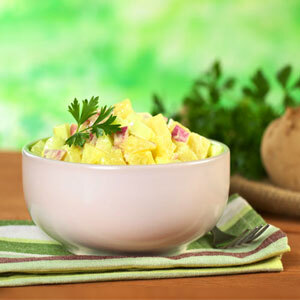 It’s a salad that’s great for outdoor entertaining. 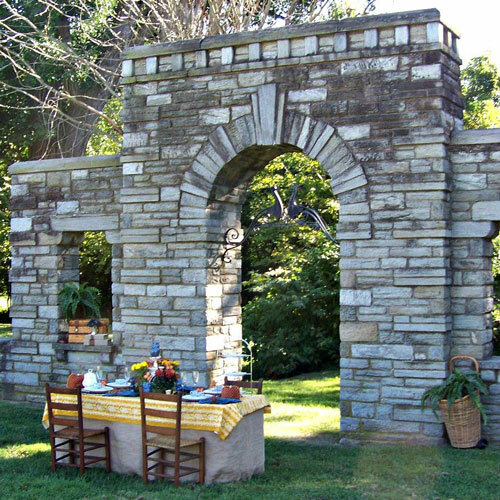 Talk about ideas for a patio party or part of an awesome BBQ! I’ve served it both hot and cold as an appetizer. With pita chips! Yum! The second Moroccan food recipe to check out is another take on couscous. 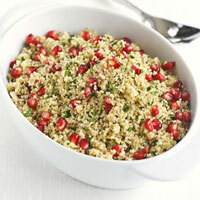 It’s a dish called Herby Moroccan Couscous with Citrus and Pomegranate dressing. It’s vegetarian — and goes nicely with lamb chops. It also goes well with other Middle-Eastern dishes. However you use it, it’s light and refreshing. 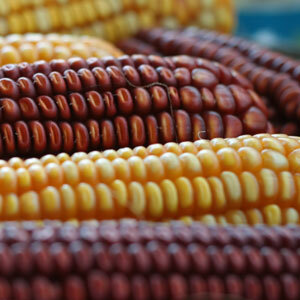 A nice change from the standard starches of corn or potatoes. Let’s move on to desserts, my favorite part of any meal. For something easy to prepare and relatively healthy, there’s nothing like Honey Cinnamon Oranges. Yes, it’s a little sticky, but what a great way to end a Moroccan meal. The final dessert recipe I’m posting here is a Moroccan couscous that’s sweet — fittingly called Moroccan Sweet Couscous. 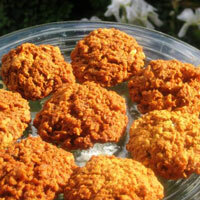 It’s filled with delicious ingredients like almonds, raisins, orange juice and dates. Believe me when I say you’ll feel as if you’ve been magically transported when you taste it. Want to learn more? Check out Paula Wolfert’s book, The Food of Morocco, available on Amazon.com.